I’m just going to come out and say it…. 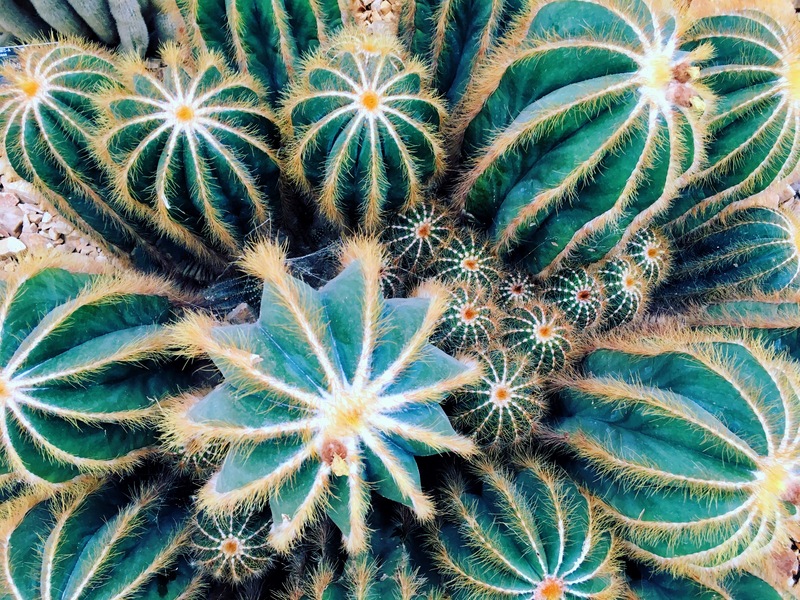 Go and get yourself an annual pass for RHS Wisley Gardens. Like, right now. I am absolutely NOT a horticulturist. I’ve never had my own garden. I’ve never gardened. I’m honestly not even really interested in gardening. I can’t really identify plants and I definitely don’t know their Latin names. The thing with Wisley is that you really don’t need to be a horticulturalist-type to appreciate it. It’s just an incredible space. It’s landscaped beautifully. It’s always changing; both with the seasons and also with new plantings, features and events such as light shows, sculptures and art. There are so many different areas to explore that you could honestly spend an entire weekend here and still have areas left untouched. 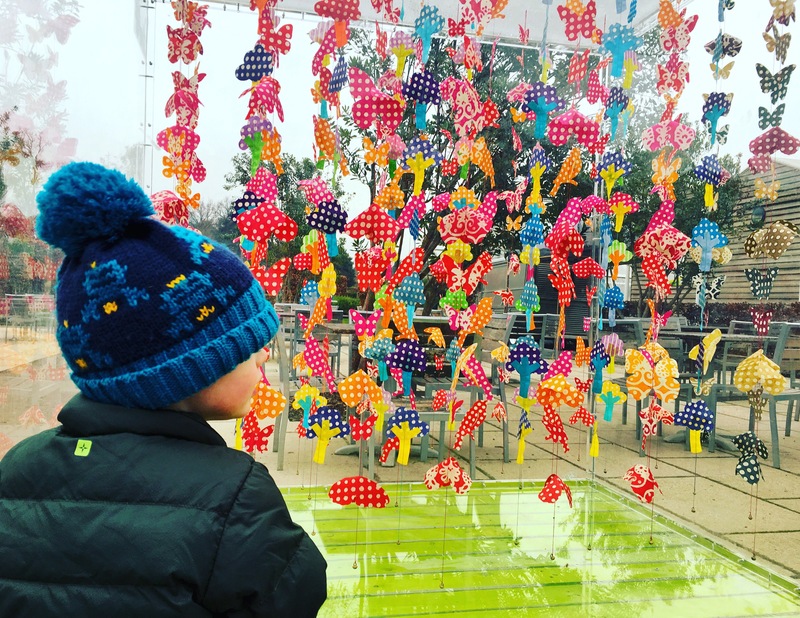 It’s entirely geared up for families with great facilities; playground, sotfplay, cafes, lots of half-term events and the main draw: the vast grounds in which to just let the kids run wild and explore. All kids love it and therefore parents do too. Today I brought my friend Sophie and her little girl Thea with us under the promise of seeing the butterflies. 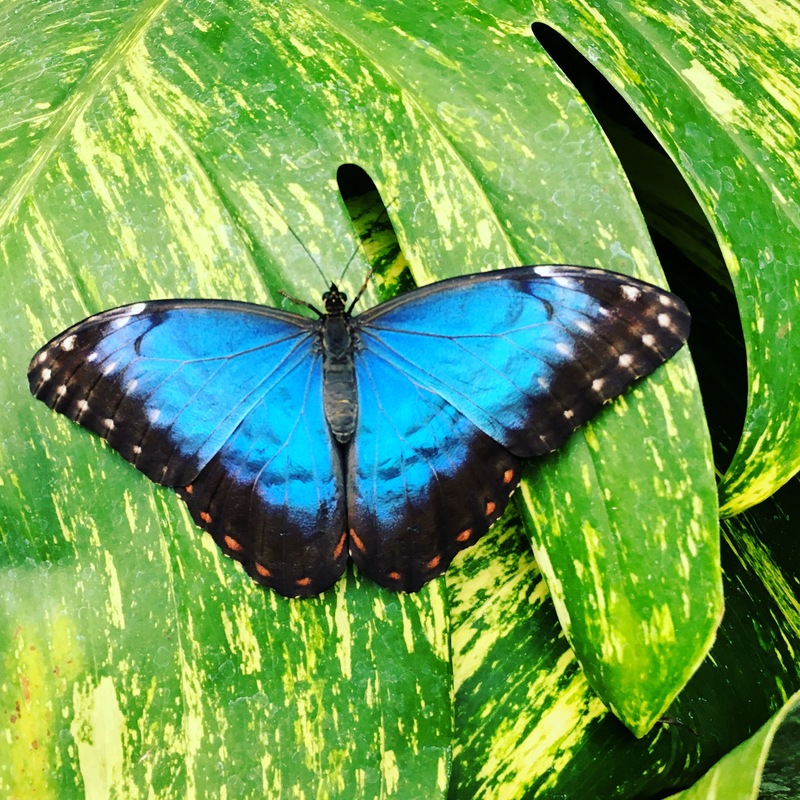 From 14th January to 5th March, the topical glasshouse at RHS Wisley is home to over 6000 exotic butterflies. 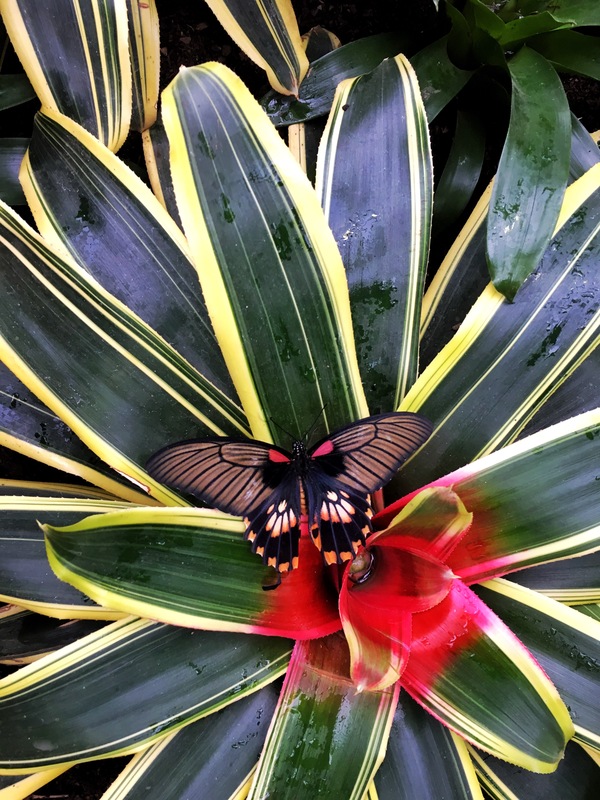 Supposedly there are over 50 different butterfly species from across the tropical world, including from SE Asia, Central and Southern America. We arrived early at 10.30am (Wisley opens at 10.00am) as we guessed that it would get incredibly busy. True enough there was a very obvious trail of people heading directly to the greenhouse, whereas normally people enter the gardens and head in all directions, off on their own exploratory journeys. We followed the caterpillar of people towards the glasshouses, enjoying the butterfly-inspired sculpture enroute. 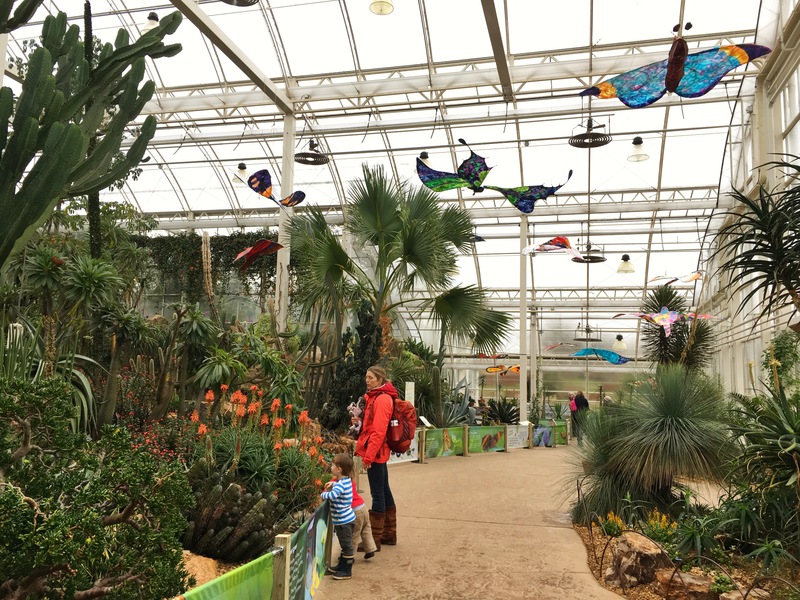 There was no queue to get into the main glasshouse, or the tropical greenhouse where the butterflies were, although it was noticeably much busier than normal. 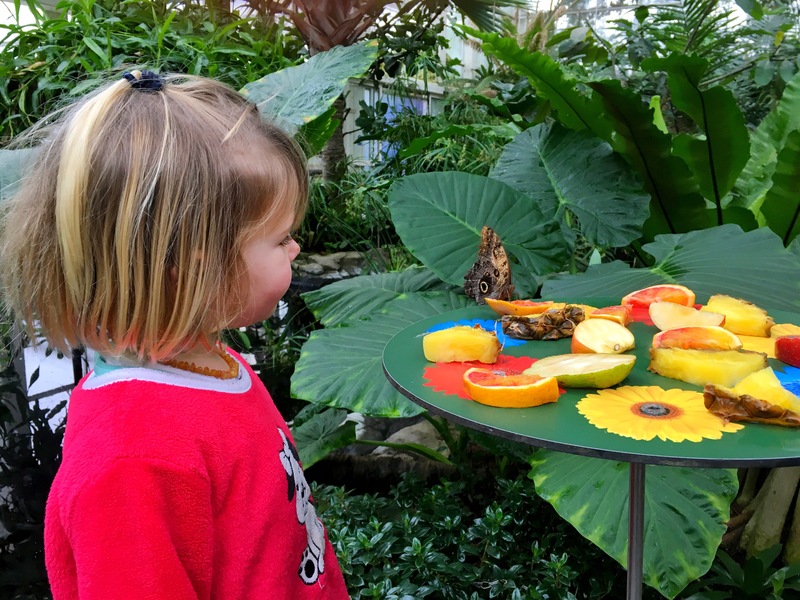 Now, I am not sure what I was expecting, but when I read that there would be over 6000 butterflies in the glasshouse, I rather expected the air to be thick with them fluttering about and for the glasshouse to be a flapping array of bright colours. It wasn’t. I genuinely don’t think I am being harsh when I say that I definitely saw more people in the glasshouse than butterflies. Honestly I must have seen about 15. 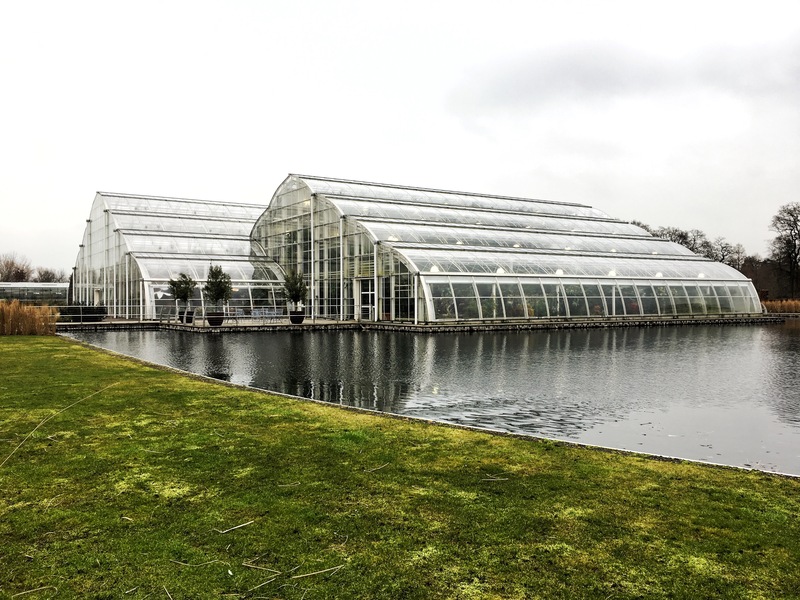 Now I love Wisley (and I hope that I have made that clear), but unfortunately our ‘butterfly encounter’ was a really under-whelming experience. Yes, we did see a handful of stunning tropical butterflies and if I hadn’t lost my ‘butterfly spotter’ that you get handed out at the beginning, I would be able to tell you which species; but we really had to hunt for them and because of the crowds, only really got up close to three or four. I don’t know whether my expectations were far too high but I would love to hear of others’ experiences. 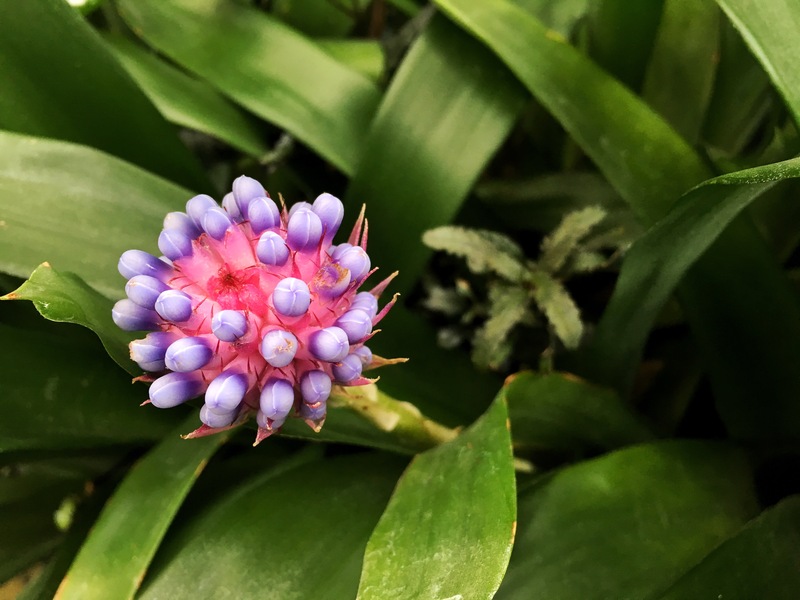 On the plus side, the tropical plantlife in the greenhouses is just incredible; you really feel like you are in the middle of a rainforest. 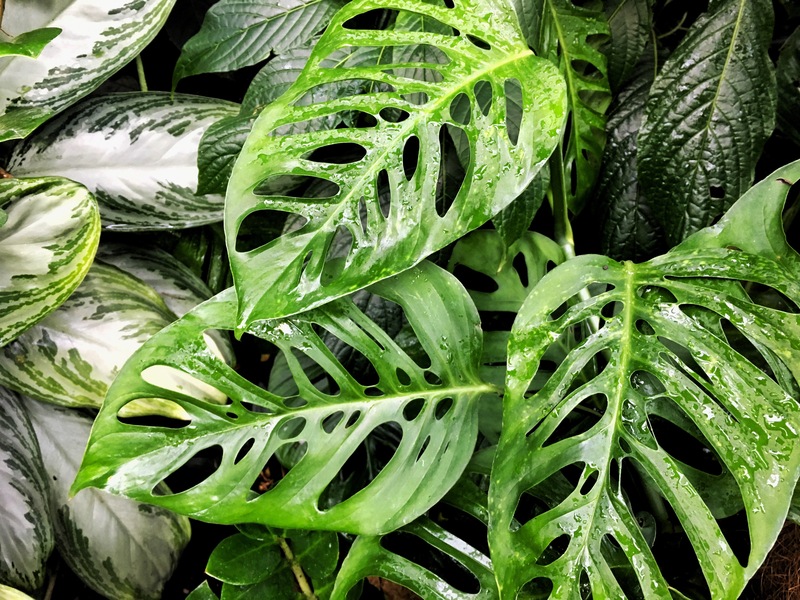 There is so much lush vegetation and so many beautiful species to admire, all of which are clearly labeled so that the keen horticulturalists among you can put a name to their face. As always, we loved our time exploring the glasshouses; we gazed at the waterfall before following the path behind it, enjoyed the ‘roots’ exhibit, tried to stare out the hippo in the pool, loved the bromeliads which were particularly stunning on this trip, and as always we loved the desert section with the cacti of all shapes and sizes. So, looking at it like this, the addition of a few butterflies was rather nice, but I wouldn’t make the butterflies your sole reason for visiting the gardens of Wisley. After our time in the greenhouse we headed for a quick run around in the wonderfully natural adventure playground, which has some excellent dens to build/re-build, some giant logs to climb over and a wooden obstacle course for little people to test their agility and balance. 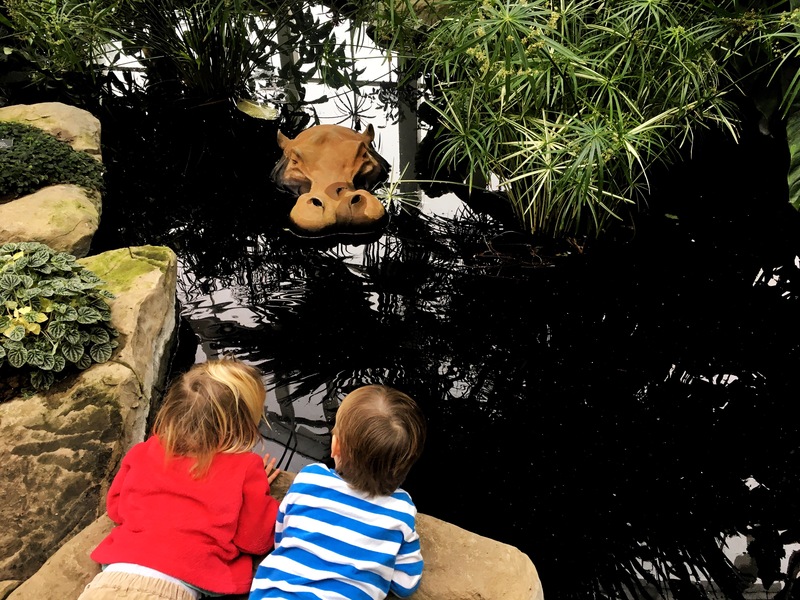 The kids played until they got hangry and then we made a dash to The Glasshouse Café right near to the greenhouses. The Glasshouse Café is my ‘go to’ lunch option when in Wisley. It serves some excellent basics – a lovely selection of sandwiches, jacket potatoes with various fillings, sausages and wedges, sausage rolls, as well as hot drinks, cakes and yummy treats of all sorts… all you need and all reasonably priced. Alternatively as we often do, you can bring a picnic and sit outside in the attached marquee and just get some hot bevvies to warm you up. There are also other dining options if you’d prefer a more substantial meal, either at The Food Hall or The Restaurant, which are near Seven Acres in a different part of the gardens. There is also another coffee shop and an ‘Honest Sausage’ kiosk, which is next to the Orchard. 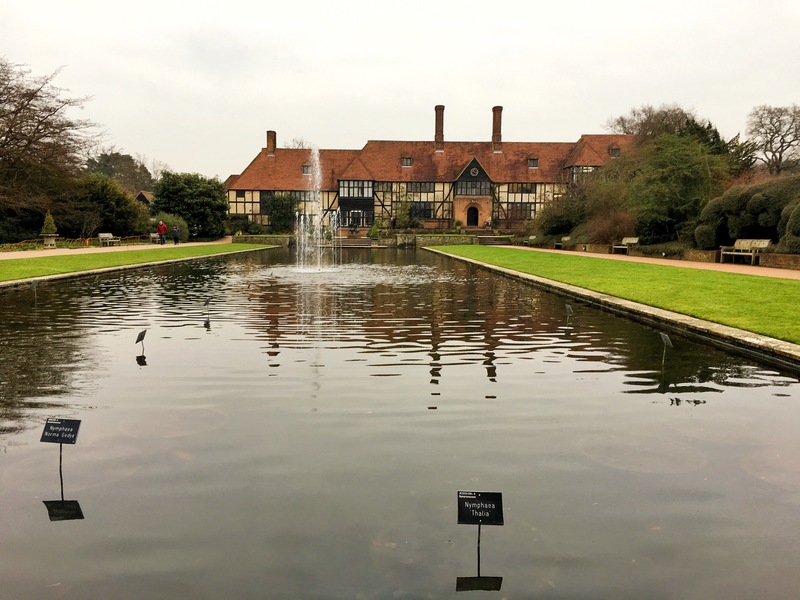 Basically, whatever you fancy, Wisley have got it covered; just make sure you plan your walk around the gardens bearing in mind where you want to end up at lunchtime! After lunch it was off to the pagoda at Seven Acres to look out across the lake and admire the fiery colours of the stunning Salix on the banks of the lake. In the overcast, grey, wintery skies they looked all the more striking. 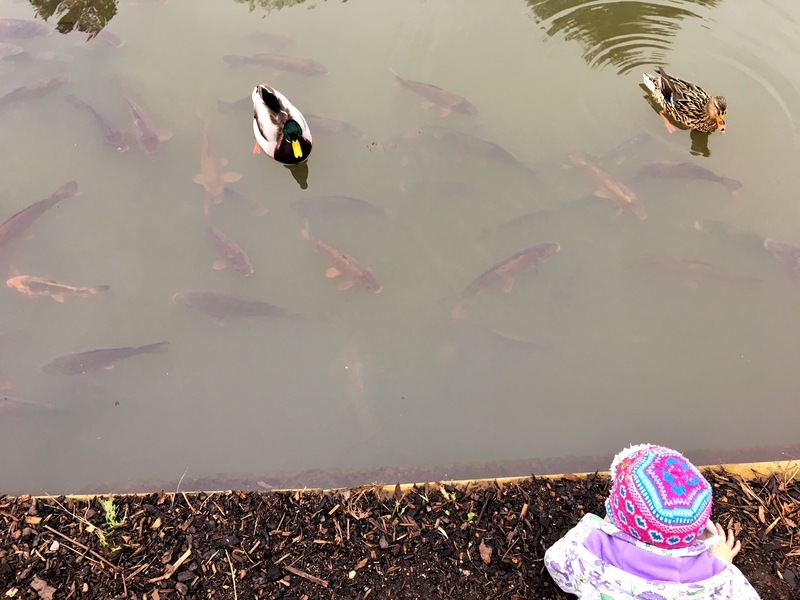 The ducks were in their usual position by the big curvy bench at the edge of the lake, clearly up for more tormenting by handfuls of todders who came to chase them and test their nerve. 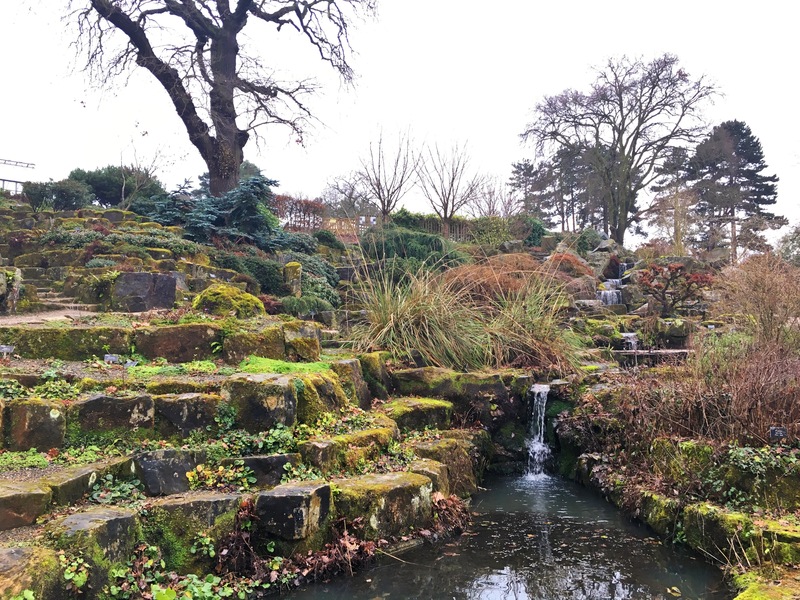 Then it was on to one of Oskar’s favourite areas of Wisley – the ‘Wild Garden’ – an intricate web of connecting paths, steps, bridges, ponds, waterfalls, and stepping stones that goes up a hill towards the Bonsai avenue. 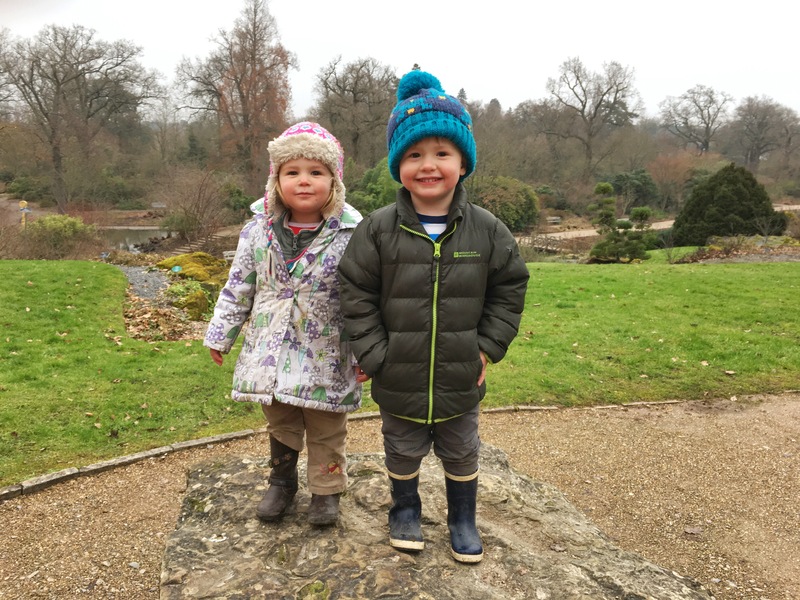 The Wild Garden is on your left as you enter Wisley and walk past the main pond and fountain on your right hand side – normally it’s our first port of call and Oskar charges straight up there on the way to the greenhouse, but today we were doing things in reverse. Oskar and Thea had a ball working their way around the hill-side garden – everything is so accessible for little people and they really feel like they are having an adventure and discovering new areas, and obviously they love all the water features (it’s just a case of ensuring they don’t end up as a water feature themselves). There was loads we didn’t explore today, but as previously expressed there is so much to do you wouldn’t normally get round it all in one go! 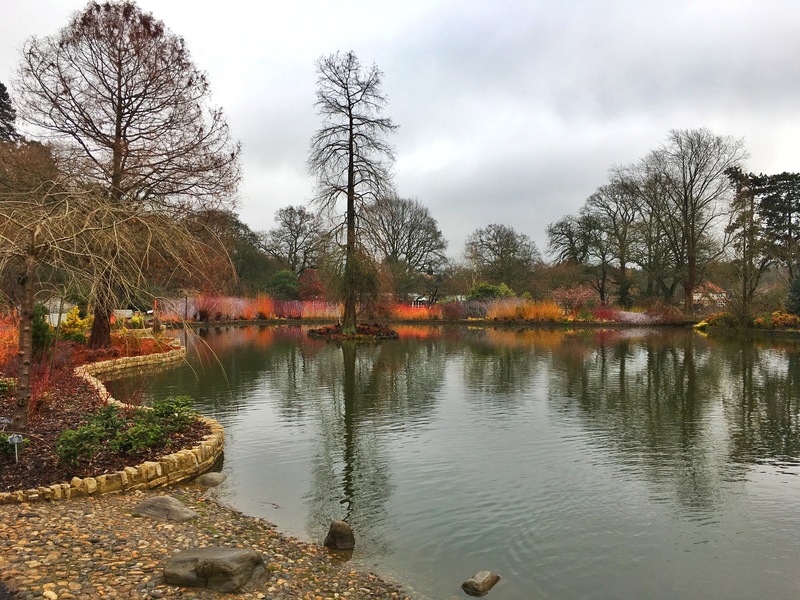 Wisley offer some great guides for exploring the gardens in different seasons: You can download the Winter Walk leaflet from their website so that you can take in the best of the winter sights including silver birch, lakeside foliage, blossoms, berries, perfect reflections and the stunning Salix around the lake. 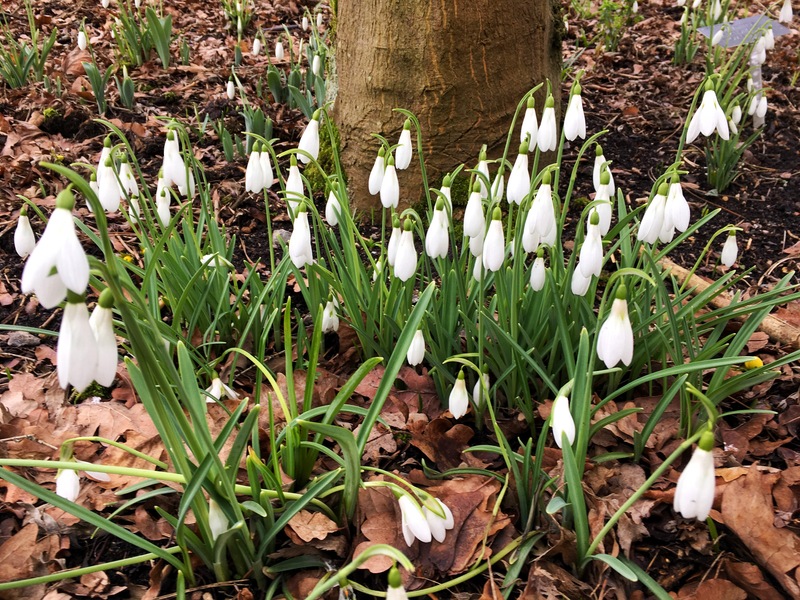 Or there’s also the ‘Beauty of Bark Trail’ exploring the trees of Wisley and helping you focus on the small but fascinating things that we often overlook. 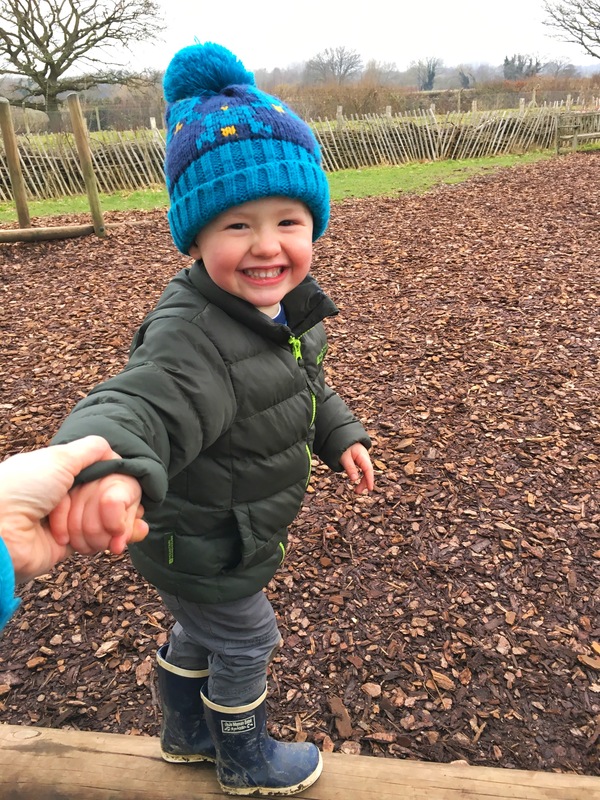 Both of these options make for a purposeful walk around the gardens with pictures of different species that you or the little ones can help spot, although it’s also just as nice to adopt the ‘wander aimlessly’ approach. 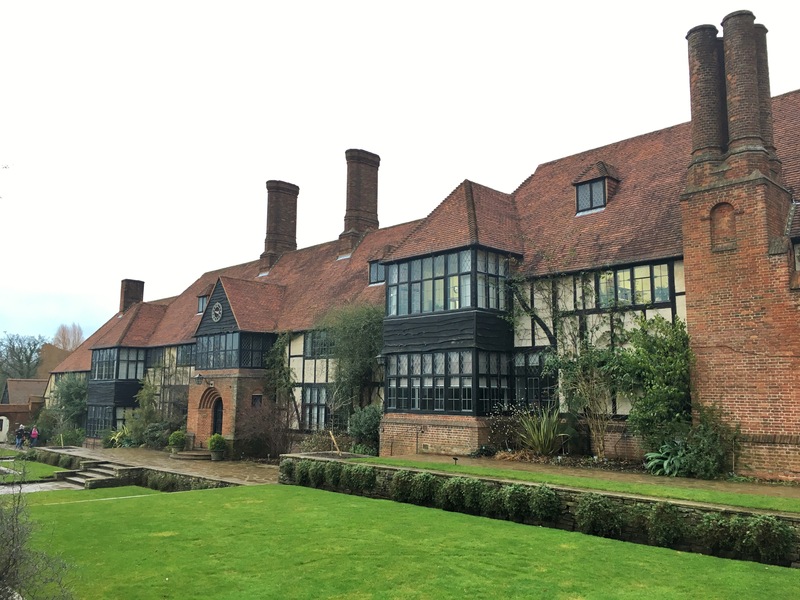 For those historians amongst you there is also some very interesting information on the history of Wisley Gardens online and you can access the Wisley Garden Library whilst you are there. So it had been another great day at Wisley; yes the butterflies had been a bit disappointing* but as always, come rain or shine the rest of Wisley had delivered a brilliant day out. It was good to visit Surrey again as part of our XCounty Challenge although there’s plenty more to explore here so we will be back! 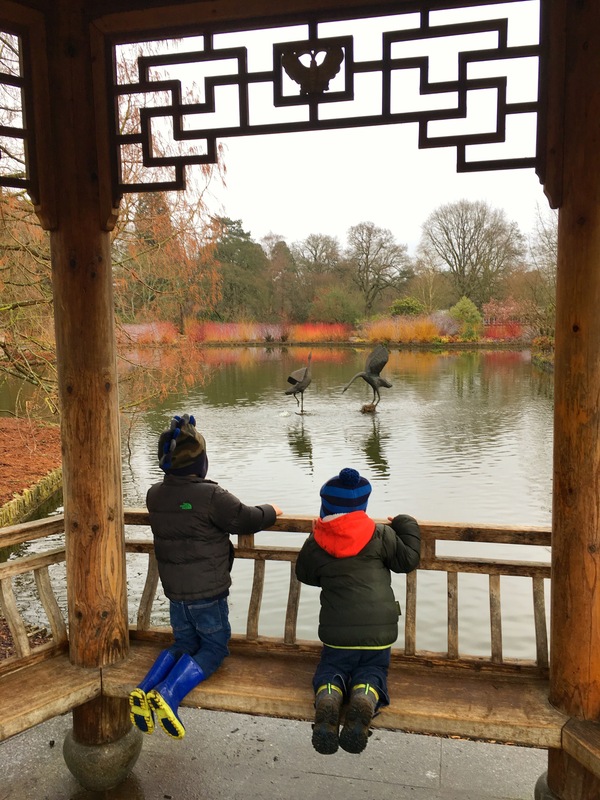 £44.25 for single annual membership if paid by Direct Debit (otherwise £59) – the best thing being it also includes a free guest on every visit and up to 2 children, as well as free entrance to all other RHS gardens for the member. SUCH a bargain! £64.50 for joint membership if paid by Direct Debit (otherwise £86) – includes 2 adults, plus one guest and up to four children, and partner garden access for main member. Daily entrance prices: Adult: £12.60, Child: £6.30 and under 5s are free! (family discount tickets available).